How to install AND Download Cubot USB Driver 2017, Cubot USB Driver is an important part for all android devices which allows you to easily connect any android device or tablet through the personal computer or laptop. In other words, it is a group of more than one files or program which create a bridge between the android devices and the personal computer to communicate and sharing the files between each other. After properly connecting your android device or tablet with the personal computer via USB driver then, you will be able to do many more important things. 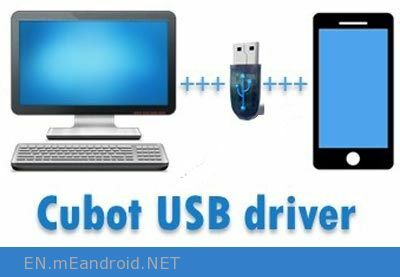 How to install Cubot USB and ADB driver? There are two ways from which you can easily download Cubot USB driver on your personal computer or laptop through the Exe file or by Driver file (Manually) method. Method 1: How to install Cubot USB and ADB driver via Exe file? How to install Cubot USB driver via driver files (Manually)? Step 1: Download and extract the zip file on your computer then connect your android smartphone via Cubot USB cable to your personal computer or laptop.